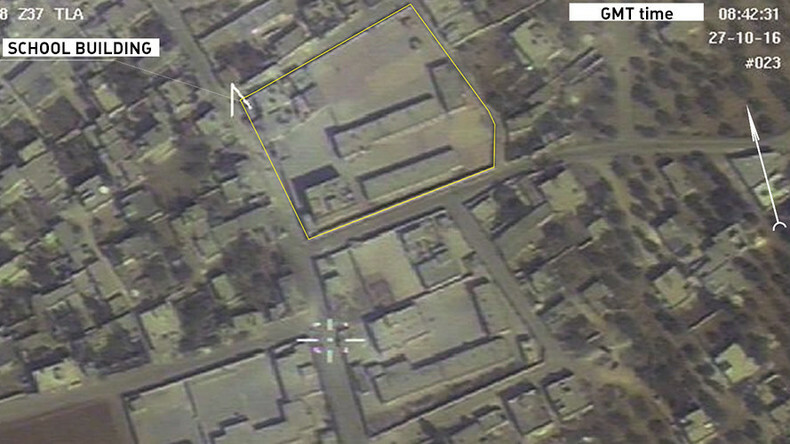 The Russian Defense Ministry says that it dispatched a drone to analyze the site of Wednesday’s alleged bombing of a school in Idlib, Syria. The ministry says that the aircraft spotted no evidence of airstrikes, and accused the White Helmets of faking digital images of the attack. “We have analyzed the photo and video ‘evidence’ of the supposed attack. The video published in a range of Western media outlets appears to consist of more than 10 different shots, filmed at different times of the day, and in different resolutions that were edited into a single clip,” continued Konashenkov. 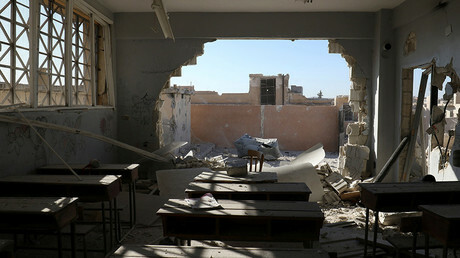 Konashenkov also added that it is an “indisputable fact” that no Russian Air Force plane was present in the airspace in the vicinity of the school on the morning of the supposed attack. 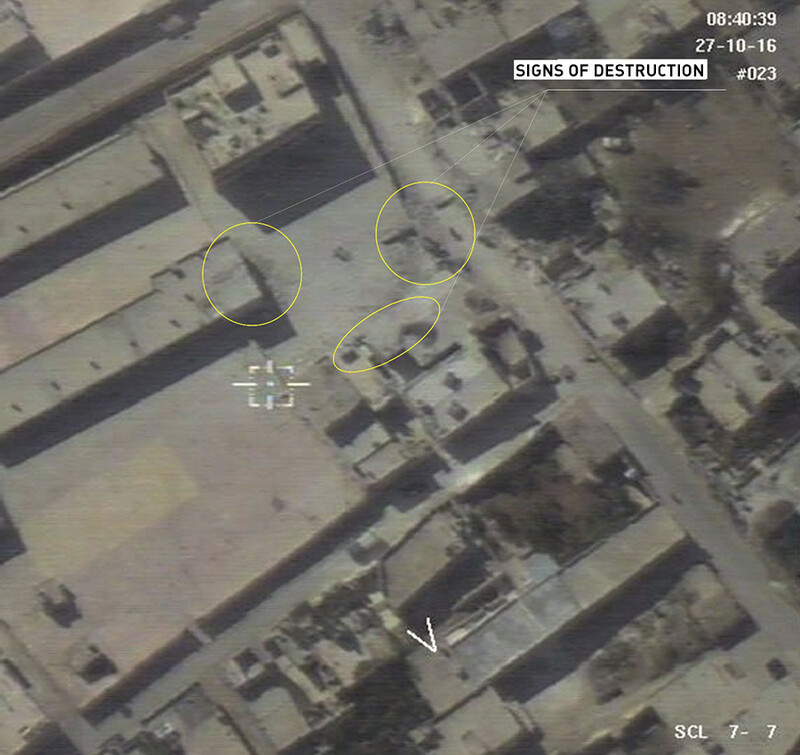 The evidence produced by the Russian Defense Ministry and the photos of the alleged “bombing site” themselves are sufficient to say that “none of these buildings were affected by an aerial bomb attack," believes former Pentagon official Michael Maloof. 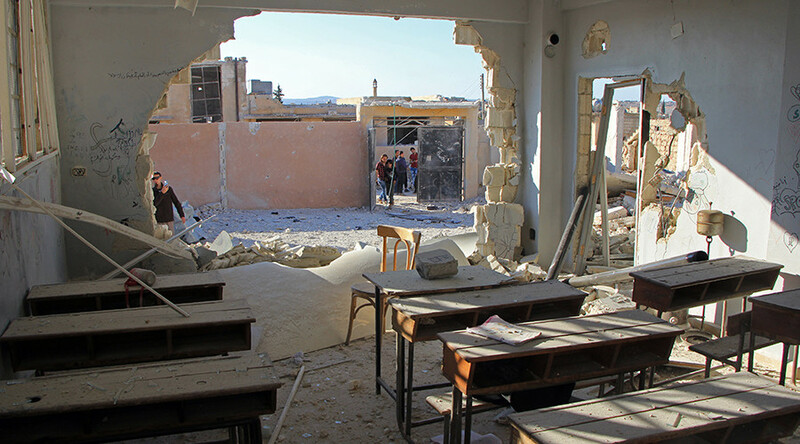 The attack was first reported by the controversial two-man, London-based Syrian Observatory for Human Rights and the Civil Defense Network, also known as the White Helmets, which claimed that 22 children and six teachers died in an aerial assault on Wednesday morning. “Our evidence points to UNICEF falling victim to another scam from the White Helmet fraudsters. Before making resonant statements, UNICEF should check its sources more carefully, to protect the reputation of the respected organization,” continued Konashenkov. The White Helmets is a Western-funded volunteer civil defense body that operates in Syria. Its official mission is to offer first aid to victims of bombings, but Syrian and Russian authorities have accused the White Helmets of spreading anti-government propaganda, and of close ties with Islamist rebels. Despite an absence of independent verification of Wednesday’s incident, several leading Western powers were quick to pin the blame on Moscow or Damascus. "We don't know yet that it was the Assad regime or the Russians that carried out the air strike, but we know it was one of the two," White House spokesman Josh Earnest said during a press briefing in Washington on Thursday. "Even if it was the Assad regime that carried it out, the Assad regime is only in a position to carry out those kind of attacks because they are supported by the Russian government." "Who is responsible? In any case it is not the opposition because you need planes to launch bombs. It's either the Syrians – the regime of Assad – or the Russians," French Foreign Minister Jean-Marc Ayrault told the media in Paris. "It's yet another demonstration of the horror of this war, which is a war against the Syrian people, which we cannot accept." In recent weeks, both France and the US have leveled the accusations of war crimes against Bashar Assad and the Russian military, particularly in relation to events in Aleppo, where a multi-faction battle continues to rage. Some of the western officials who swiftly jumped to conclusions did that “for political and propaganda purposes” only, Maloof told RT, and should have searched for perpetrators on the ground, not in the sky. UN Secretary-General Ban Ki-moon was "appalled" by the reported incident and called for "an immediate and impartial investigation of all attacks against civilians," his spokesman Stephane Dujarric said, as cited by Reuters. Before Thursday’s revelations from the Russian Defense Ministry, Russian officials have also publicly supported a full inquiry into the school attack, while denying any responsibility.